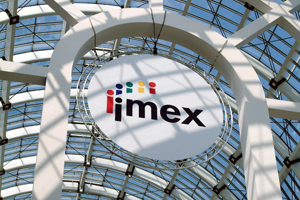 Seoul has increased its C&I budget and reduced the minimum group size required to qualify for support, the Seoul Convention Bureau announced at Imex today. Corporate meetings eligible for support are now defined as a minimum of 30 delegates staying for two consecutive nights, compared to the 50 required last year. Seoul Convention Bureau deputy chief Kisook Diane Kim said the bureau can offer financial support of up to USD30,000 per corporate event, depending on the company, compared to the bureau's total marketing budget last year of USD10,000. Support includes a contribution of USD20 per delegate and volunteers to help run the event. The Korea MICE expo, which has previously been held at rotated locations in Korea, will be held in Seoul for the next three years, it was announced. New developments planned for Seoul include a new convention centre set to open in 2014 and the redevelopment of the Hong River area. A direct rail service to the airport, which is currently one hour's drive away, is also set to begin in early 2011, and will allow passengers to check in at Seoul train station. Seoul, which is this year's World Design Capital, also announced plans to expand its international food festival.